Randal Grant Kleiser (Grant) is a Ph.D. student in history at Columbia studying commerce and commercial reforms in the eighteenth-century Atlantic world. He is currently working on a project that explores the origins of the British free port system in the West Indies during the 1760s when Britain opened up several ports in the region to limited trade with foreign powers. Grant is conducting this research with an eye to its international intellectual origins, political economic and geopolitical pressures, and subsequent colonial reactions. Undergraduate Thesis: A Gold Ounce for Every Throat Cut: The Development of Peace between Spain and Portugal in the Banda Oriental, 1750-1801, 2017, on Penn’s International Relations thesis online database. In addition to his research, Grant teaches in Columbia's history department. He also tutors US, European, and Global history for the AP and Regents Exam. 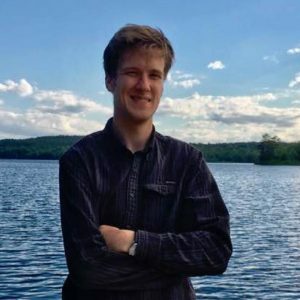 This year Grant enjoys the positions of the Graduate History Association's social co-chair and an organizer for the European History and Politics Workshop.